The guideline also make recommendations about research priorities. 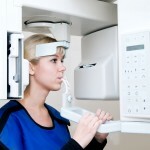 With the increasing availability of CBCT machines it is important that those using or considering using these machines are fully aware of these guidelines. The guidelines update the previous version published in 2009.